The Cecil Theater opens its doors again. April. 12, 2018 08:25. by Jeong-Eun Kim kimje@donga.com. The Cecil Theater, which was closed in January this year, due to financial difficulties, has opened its doors once again. The Seoul Metropolitan Government has been seeking ways rent the property on a long-term lease and have a non-profit organization take charge of the operation of the theater as the Cecil Theater closed its doors after struggling to pay the monthly rent of 24 million won. 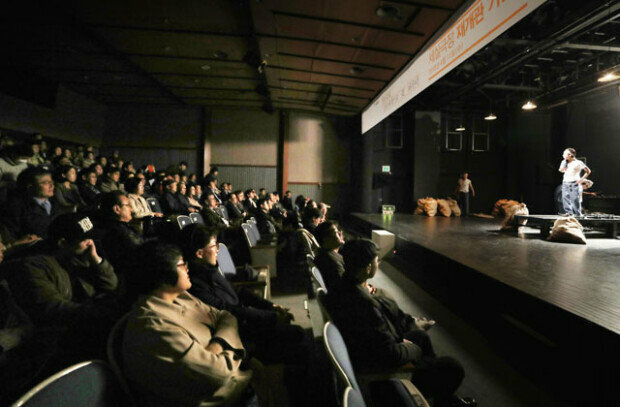 The Seoul Theater Association was selected as the operating agency after a careful review. The Cecil Theater, which opened its doors in 1976, was designed by architect Kim Joong-up and designated as Seoul Future Heritage in 2013.